The African Lion and Environmental Research Trust (ALERT) is a non-profit registered Trust that is committed to the conservation of the African lion (Panthera leo) and the environment in which lions live. ALERT recognizes that conservation of wildlife and habitat will only be successful if the local people surrounding conservation areas participate in, and benefit from, the protection of that wildlife and habitat. ALERT has therefore adopted a responsible development approach to conservation which includes the upliftment of local communities alongside the protection and conservation of wildlife and habitat. On 11th January 2017 ALERT signed a Memorandum of Understanding with the Zimbabwe Parks and Wildlife Management Authority (ZPWMA) to assist Chizarira National Park in terms of research, upgrading facilities and working with surrounding communities. The MoU extends into Chirisa Safari Area. ALERT is partnered with Coventry University in this project, and additional partners from a variety of fields of expertise are being encouraged to join the venture. The research will be undertaken on the existing wild population, that is currently below the carrying capacity of the Park, to assist in the management of this largely isolated population. No research has been carried out in this Park for over two decades. ALERT scientists will be carrying out research in a variety of areas to ensure that the Park is able to maintain biodiversity, that ultimately is able to support the lion population, and produce benefits for neighbouring communities. Research is a new department under AP that will add to our already existing conservation projects. Our first project will be surrounding vulture conservation. Once the hide has been built at our “vultures restaurant” site we will be collecting data on which species visit the site, how many, their age and if they are tagged. We are working with an organisation called VULPRO who we will send this raw data to. The data will be collected by our research department and volunteers then used by VULPRO to try and understand the effects and importance of supplementary feeding sites like our “restaurant”. We hope to educate people on the importance of vultures and their vital ecological role as well as why their numbers are declining. Hopefully we can bring a lot of vultures back to AP by giving them a safe place to feed and maybe even nest. Once the project is up and running it could turn into a potential guest activity. ALERT (the African Lion & Environmental Research Trust) was founded at Antelope Park in 2005 in response to the drastic decline of lion populations. Together, we support the multi-stage African Lion Rehabilitation and Release into the Wild Program, which seeks to stop the decline of African lion populations through the release of the offspring of captive-bred lions into the wild. 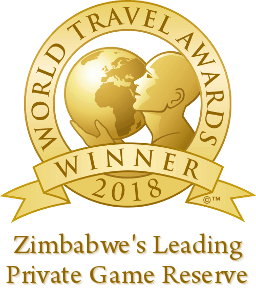 Your stay here will not just leave you with amazing memories and experiences, but you’ll also personally have contributed towards saving the mighty African lion. To date, the above-mentioned organisations have made a combined contribution of over $3,000,000. USD$247,000 has been invested in community programmes associated with our conservation programme, including conservation education centres, orphanages, agricultural projects and teaching and healthcare projects. USD$365,000 has been used to purchase game animals from local wildlife breeders to stock the release sites, allowing the release prides to hunt. Over 600 animals have been purchased to date. USD$1,641,200 the ‘Lions Share’ has been used to ensure that the resident captive Lion population at Antelope Park is well- managed and cared for. This includes the costs associated with the purchase of game for feeding, enclosure construction and maintenance, veterinary care and the salaries of the dedicated team who manage their upkeep.